Mayor: Constancio Gutierrez (2010 - 2015) Address: Mariscal Santa Cruz square, West side. Floor 1. © Photo by bolivian La Razon™ newspaper. © Artwork by The Achacachi Post™. Online weekly news. 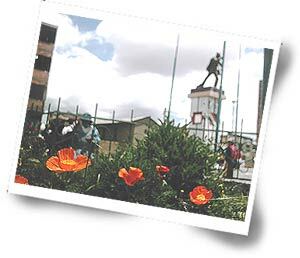 Achacachi is a distance of 93 kilometres far from the city of La Paz (Bolivia), 199 Km of Puno (Peru) and 540 Km far from Cuzco (Peru). The city has 7540 inhabitants according to the Census of 2001. 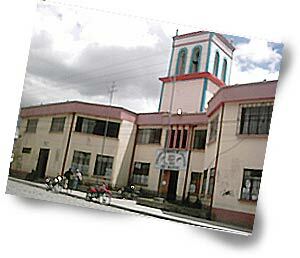 Achacachi was recognised as an administrative capital trough D.S. of 7-9-1863 making January 24 as its anniversary date. 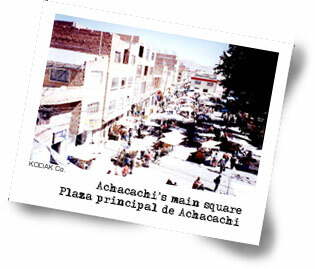 What does the word 'Achacachi' mean? Big point. 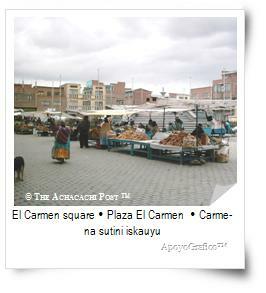 The “achacachi” aymara word means “big point”. 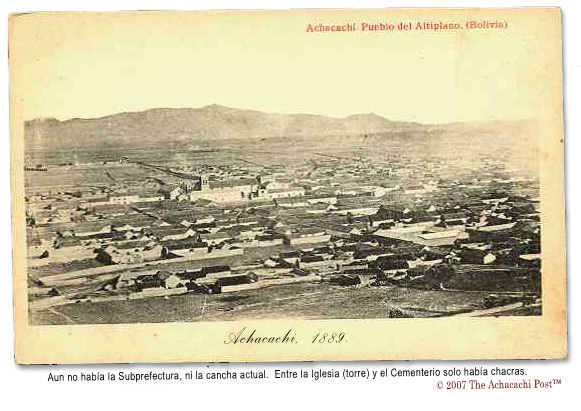 “Achacachi” comes from aymara language ”jacha”, ‘big’ and “k’achi”, ‘point’. This Andean cold and dry town it is known like this because there is a chain of mountains which ends here and one of them ends in a sharp peak. Achacachi take its name from rhis particular peak. — With the rifles that the government gave us. From the Chic tailorerer of Melitón Mercado, the poster prayed this way with golden letters, the main square of Achacachi ("Big point" in aymará) was seen with its rickety trees and its prodigious monument in memory of Andrés Santa Cruz Calahumana, prodigal son of the county, Indian Hispanic mestizo, propeller of the unit of the Peru and Bolivia and distinguished as Great Marshal of Zepita. Amid the rustic houses of straw roof that it harbored twenty-two thousand inhabitants the buildings of the Mayorship stood out, the Subcounty and, as it could not be otherwise, the gallant Parish House. Their narrow streets conserved the Spanish typical line. 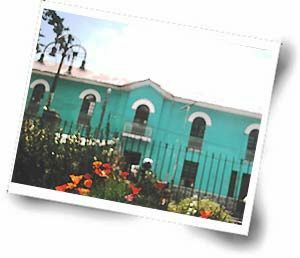 The neighbors of the town and the indiada, andícolas altiplánicos (plateau inhabitants) and riverside lacustrine, they went for a walk freely for the square and gathering on Sundays in the frank fair. 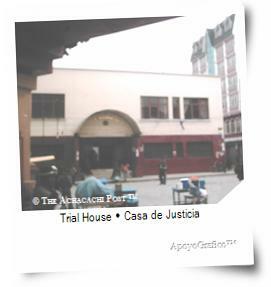 The feudal landowners of Achacachi had flown away since 1953 and they resided now in La Paz, city…"(TABOADA TERAN, Nestor, Jachakachi Kañuna(Achacachi's Cannon), Cochabamba, Bolivia: Pub. H & P, 1997). 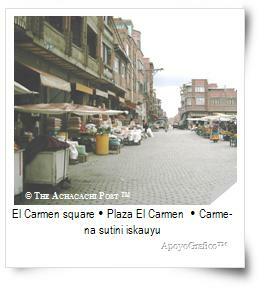 © THE ACHACACHI POST®All rights reserved. The whiner. 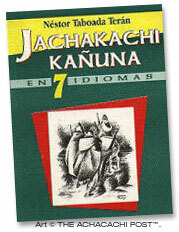 There is another version about the origin of the word Achacachi. After the failed Inca conquest against the umasuyus (riverside) people, the Inca decided to make a pact with the umasuyus . And to seal the pact the Inca gave in marriage a ñusta (virgin maiden that served in the temple of the Sun Island to the god Inti) to Zapana , the umasuyus’ leader. This ñusta woman missed her land and home that she doesn’t stop crying, so that, the place where she begin to live after her marriage was called 'the whiner’ (jachac jachi) or that is to say place where the ‘whiners’ inhabit, since “jachac jachi” in aymará mean-literally- the whiner. The region has a predominant cold weather. It is interesting to visit the snow - capped Illampu peak. The Keka and Tambo rivers and Lake Intikjarka (Titicaca). The town in whole is of Qulla (Colla) origin who speak aymará language. The Qulla nation is known for keeping alive its ancient organizations, in many cases turned into agrarian unions. © Photo by El Deber/Tanya Imaña. © Artwork by The Achacachi Post™. Which are some prehispanic and folkloric original dancing and musical expressions. Saint Peters and Saint Pauls (29, june). Here you can see Morenada, Caporales, Danzantis and P'acochis dancers. It is a “Misti” festivity. Misti means neither Spaniard nor Qulla, but been born of both. 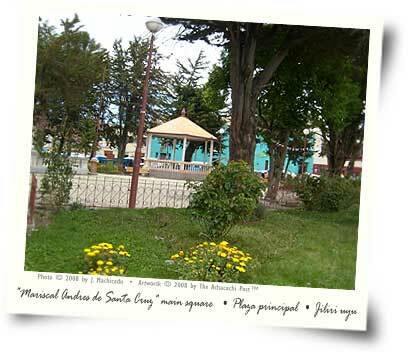 Mistis come from La Paz city or other cities, even from United States, to dance in Achacachi. Corpus Cristi . Then we have the Corpus Cristi festivity where you can see Mukululus, Kjachwiris, Chokela, Wacawacas dancers. 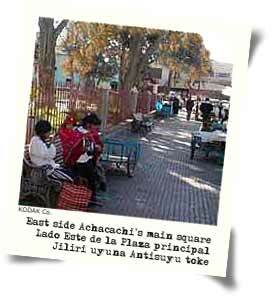 It’s a Qulla festivity because the people who dance here belong to communities around Achacachi. Exaltacion of our Lord. Finally, it is the Exaltacion of our Lord festivity (18 nov). In this festivity we got the Incas, Diablada, Cullawada, Mok'ok'aras, Potolo, Llamerada and, also, Morenos dancers as the “Morenada Juventud san Pedro residentes de Achacachi ‘Los catedráticos’ con su paso militarizado” but well-known as Morenada “Los catedráticos”. The Exaltacion of our Lord festivity is called obrero festivity because here just dance these people: tailors, carpenters, retailers in coca leaves and blacksmiths. 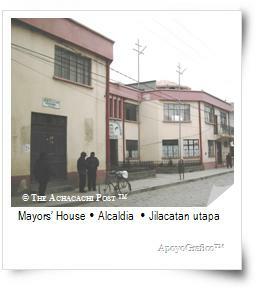 How to arrive in Achacachi? There is two minivan stops, the first is in in the corner of Bustillos St. and Heroes del Pacifico Av. near Cementerio General in La Paz city. 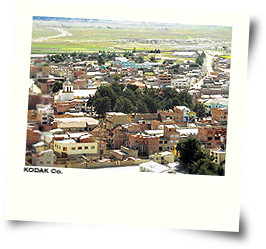 And the second is in La Ceja, El Alto city behind the CEIBO building. The service begins at 04:00 o'clock up to 16:00 o'clock and minivans goes out every 10 minutes. And the trip takes around 1 one a half hour. The ticket cost six Bolivianos (Bs. 6) on weekdays and on weekends is seven (Bs. 7) Bolivianos. Today the current convertion is 1 $US = 7.07 Bs. "ACHACACHI. World’s highest city site. Sitio de la ciudad mas alta del mundo. Patpatankiri markana kont’awipa." Registered ® and Copyright © by THE ACHACACHI POST™. Online weekly news. All Rights Reserved. Todos los derechos reservados. Jarkt’atawa.